The trio of Busker Busker has squashed last year’s rumors of a possible breakup by announcing that they will be releasing the group’s much anticipated second studio album on Wednesday. The upcoming studio album will once again feature tracks written and composed by the bandmates themselves, according to representatives of Chungchun Music. The Korean alternative band with members Jang Beom-jun on vocals and guitar, Kim Hyung-tae on bass and Brad Moore on the drums first gained fame as participants on the TV music audition program Mnet’s “Superstar K3” in 2011. Although Busker Busker ended up the runner-up of the audition program, the band still landed a six-month contract with CJ E&M and released its eponymous debut album in March last year. The trio’s first studio album featured hit singles “Cherry Blossom Ending” and “Yeosu Night Sea.” The album swept the top spots on major music sites nationwide and jump-started the group’s popularity as an alternative rock band despite its non-mainstream sound. As the band’s contract with CJ E&M was set to expire, many online rumors spread concerning the future of the band and whether or not the trio would stay together. However, after Busker Busker’s contract came to an end, the trio signed on with Chungchun Music in March. At the end of March, the band’s hit lead single “Cherry Blossom Ending,” which became the springtime hit track to listen to, made a surprise resurfacing on many local real-time Top 10 music charts despite the track being a year old. 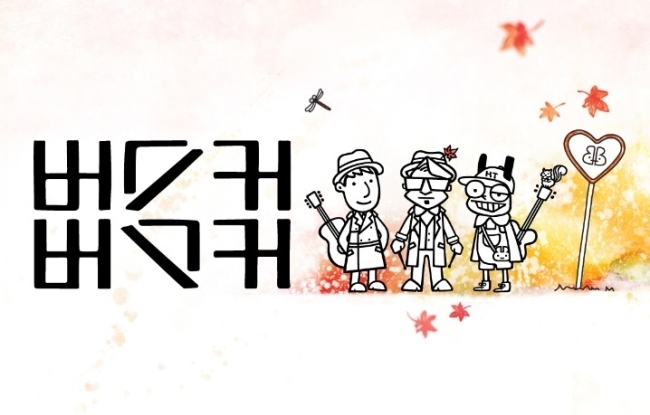 In commemoration of the group’s follow-up album, Busker Busker will also kick off a nationwide tour in Busan on Oct. 3, followed by live concert performances in Daegu on Oct. 20 and Seoul on Nov. 1 and 2.